Are you frustrated with chronic low back pain that you just can’t get rid of? Tried therapy and other treatments before and still having difficulty? Our StabiliCore Program just might be your answer! This isn’t and just a bunch of exercises and some stretching. Our therapists take a scientific approach to spinal stability to fill in the gaps where other approaches have failed previously. Core stability cannot be achieved without proper mechanics of the surrounding joints. 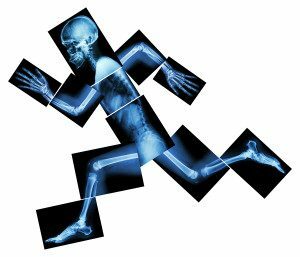 The human body is a dynamic system made up of many moving parts. All parts of the system need to contribute their share in order for the system to function correctly. Our therapists will take an in-depth look at the patients biomechanics to ensure the lumbar spine isn’t overcompensating for other areas of the body leading to joint and disc breakdown. Our manual therapy techniques help correct these mechanical faults to decrease stress placed on the lumbar spine through every day movements. Core stabilization exercises need to address the muscular deficits in the activities that provoke them. Quite often, patients are completing exercises that do not transfer the benefits the activities that aggravate their symptoms. The spinal stabilizers are “marathon muscles”; they work under low load but for long durations. Exercises that only address strength without the endurance and control do not transfer well to real life activities. It is the equivalent of training for a marathon by only practicing sprinting. Our physical therapist will prescribe an exercise regimen to address the spinal stabilizers that will encourage balancing and endurance. There is a large neurological component to core stability. Stability is more reflexive in nature than it is brute strength. If you balance on one foot, your brain is sending small corrections to the muscles depending on where it is in space to keep you balanced. Spinal stability is absolutely no different. In order to protect the joints and discs, the brain has to recognize where it is in space, understand when the spine is approaching its end limits before stress is placed on the passive stability structures, (ie ligaments, joints, and discs). Our use of balancing, RedCord suspension therapy, and movement retraining helps rebuild those neurological pathways that will help sensitize and train the muscles to kick in before other structures get impacted. Headaches are a very common complaint and can be mildly annoying to completely disabling. 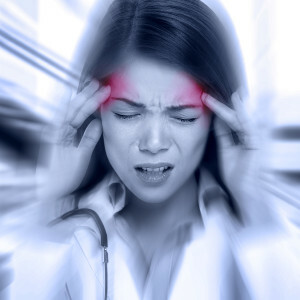 Many patients report suffering from headaches 2 to 3 times a week and have tried many different techniques without relief. But did you know that underlying neck dysfunction can create this problem? Just like sciatica down the leg for patients with back problems, headaches are very similar. Neck instability caused by prolonged desk work, prior car accidents or other related trauma can aggravate the upper cervical joints of the neck and cause this referred pain up to the head. Our headache program addresses the underlying causes and environmental factors that contribute to your headaches. Our therapists take a manual based approach to improve the joint/disk dysfunction and retrain the cervical stabilizing muscles for sustainable relief. If you’ve tried medications, shots or other treatment techniques and have not gotten the results you want, give our headache program a shot. Many patients experience relief within a few visits and report significantly reduced headaches in the following months. Running is one of the most common forms of exercise among Americans. It is also a biomechanically complex problem to sort out when pain starts. Video gait analysis can be a beneficial tool to identify large problems, but it fails to take into account the intricate contribution of the many joints and muscles required. Because of the repetitiveness of running, small problems manifest into larger problems the farther you go. Our physical therapists take a hands on approach to assess all the joints and muscles from the spine all the way to the foot to ensure your mechanics are perfect. We can find the large and small deficits in your mechanics that make make sure you can run a 5K, 10K, marathon, Ironman, or ultramarathon. If you are finding your mileage getting limited, our Runners Program will get you answers and a plan to get you back on your training schedule in no time.